Music of Italy in ancient times. 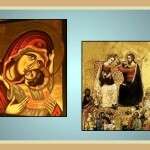 In Italy the music as artistic means of expression had its origins in the Greek culture. The term for referring to music derives from the Greek word “Mousike”, which means “The art of the muses”. Since early times the music of Italy was as it was made in Greece based purely on melodies also know as monophonic music; (where it is used only the melody without accompaniment of chord). Principal culture influence in the early days of Italy’s music. The Greek traditional music had great influence in the music of Rome as also did the Etruscan but in the case of the Etruscan the Roman invaders nevertheless; full of militarism and pride don’t saw the importance of preserve those people cultural heritage. The once prosper Etruscan culture was crush under the Roman’s barbarism but also forced to be assimilated, becoming victims of a senseless cultural annihilation. Along with the Etruscans documents that the Romans burned were lost important written sources which would have served the new empire in the cultural aspects; music included. The Romans inherit as mentioned; remains roughly of what had been the music of the Etruscan but paid no attention to this knowledge. They appreciated that the Etruscans enlivened their festivities, in fact are named in the Greek and Roman Chronicles that Etruscan players brightened banquets and public festivities but is not spoken in them that the Romans had; in that particular period; interest in learning to play those instruments and less to manufacture them by which this knowledge was lost over time mostly. 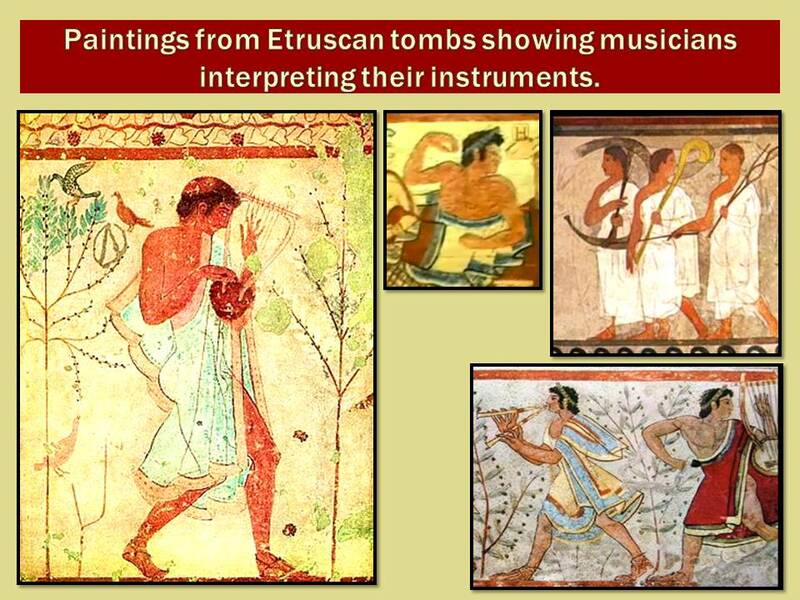 Is a pity that this had happened because the collection of Etruscan instruments was fairly large and they formed from a kind of symbiosis between Greek, Phoenician and Asia Minor music; from the Asians influence the Etruscans incorporate the flute and trumpet of war. The Etruscan interpreters of the Auloi, who were better known by the name of “subulones”, even brightened events for a long time and had a great prestige, mostly because Roman’s do not know how to interpret those instruments. In the 4th century (BC) the Subulones still retained this reputation; even in Rome where usually the Etruscans in general or descendants of those were not precisely appreciated. The Etruscans elaborate and interpreted also in Italy the Salpinx or “Trumpet of war” (known as tuba) that in the version that they developed obtained great fame and was often cited by the chroniclers, even though it came from the Greek world, it is know their version with the nickname tyrsenian or Tyrrhenian and is characterized by having a powerful sound. During the first period of Roman rule in Italy (apart from the pastor’s flute only were interpretations in a kind of lira; and with other two instruments called trigon and lidio. Flute and cymbals that are played mainly in religious sacrifices were gradually incorporated as well. It is thought that the powerful influence of the woodwinds in the music in Italy comes precisely from Etruscan and Greek performers of Salpinx or tuba, the Latin term which it was later popularized. The Cornu was also developed and interpreted very well by the Etruscans and Greeks, this instrument is closely linked to those of the type that the Roman soldiers in their military campaigns would use later to execute commands such as charge and withdrawn since the powerful sound of this instrument could be heard at a great distance. The tuba was used in the army for signs. 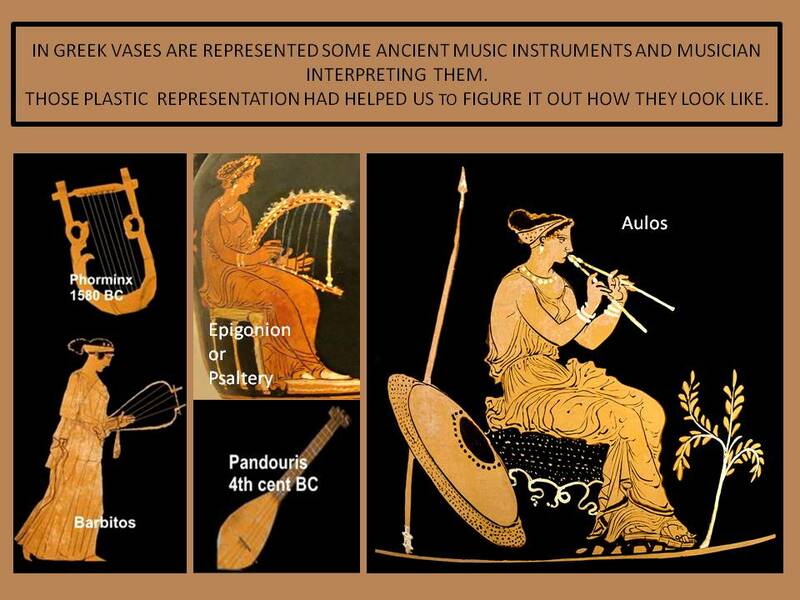 Ancient Greek instruments that influenced music in Italy. – The epigonion: Which is similar to a modern harp or psaltery. This instrument was named after the musician who was the first person to touch the strings of the epigonion with his fingers, rather than using a plectrum. 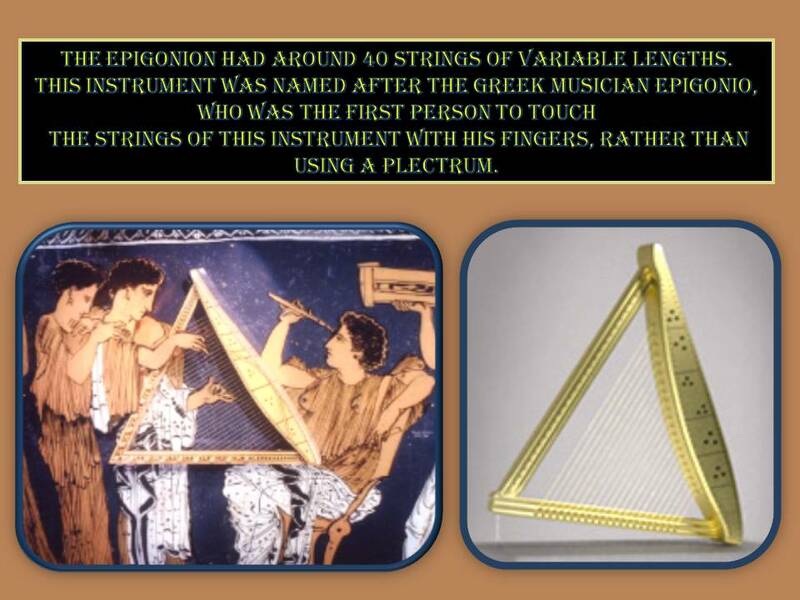 The Epigonion had around 40 strings of variable lengths. – Salpinx: A straight, narrow bronze tube with a mouthpiece of bone and a bell (also constructed of bronze). – The Cithara: A type of lyre played in the courts of Rome and Athens. – The aulos: Modern reconstructions of the instrument indicate that the aulos was similar to a clarinet but with bass and resonant sound. Made up of two tubes of double wooden, like an oboe was played at different intervals and speeds to produce a melody. – The Syrinx: Named after the nymph who was transformed into a Reed to hide from “Pan” (God of fields, forests and pastures), this were the precursors of Quenas. The musician blew by a series of wooden pipes, tied one to another at the same time, tuned by their different wavelengths, creating a soothing sound popular in recitals of poetry. – The Hydraulic: One of the most complicated musical instruments at that time, the old organ was driven by a supply of water and air that when combined caused an effect within the brass tubes. A well-preserved pottery model was found at Carthage in 1885. – The monochord: Consists of a single string stretched on a case with a movable bridge, this instrument was used as a scientific instrument for measuring musical intervals in the old Greece. – Lyre: Instrument played with the hand (zither) has seven or more strings, each of which is tuned with a different one of the modes note. 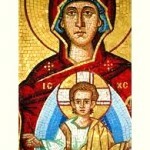 It was a popular accompaniment to singing in the ancient Greece recitals and is still used today. – PHORMINX: Probably the oldest of the cithara type instruments. It was richly decorated with gold and ivory, and accompanied the singing of the epic singers called rhapsodist. – Barbitos or Barberton: Is an instrument of the Lyre family and resembles a Lyre, but it has longer arms and narrower sound box. Musicians are frequently depicted in vases playing the Barbitos. – ASKAULES: Named by combining the two Greek words aulos and askos (a bag located under the pig arm of the musician) was what is now known as the bagpipes. – Pandouris or pandorium: Also called trichord because it had three strings, is the first fretted instrument known, forerunner of the various families of lutes worldwide. A fret is a raised element on the neck of a stringed instrument. Instruments used in ceremonial rituals in Rome in ancient times. Some instruments had preference on ceremonial rituals involving musical performances to emphasize the solemnity of the rituals; the tuba was used for example in funerals, private meetings and events where the sound of this instrument provided a certain atmosphere or mood more sober and content. Rome also employed a wide variety of other instruments in their daily and religious lives many of which are still in use today, for example the Scabellum, which were basically clappers, rattles like the one name Sistra that was borrowed from the Egyptians and used mostly for religious purposes. Were used for those ceremonies also bells, tambourines, and a variety of drums which were played for keeping rhythm although they were utilized also for hunting purpose as well. – Tibiae: (double pipes) used at sacrifices. 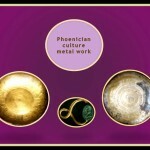 – The Cymbals: Metal round plates made from different alloys. 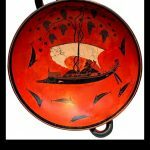 Ancient Greek plates have half-inch diameter more than the Roman plates and sound a fifth more deep than those. – The tambourines: At orgiastic cults. – The rattles: In the interpretation of anthems of various types like the Sistra; a rattle which had two strings with noise making metal attached across a “goal post” frame. – Crotalos: Round small metal pieces used in the fingers. Latter in time and close to the Republic period the influence of Greek music is evident again in Italy. 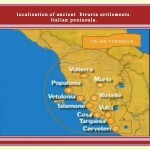 The instruments and influences of Mediterranean musical styles are manifested in the regions occupied by the Roman’s. 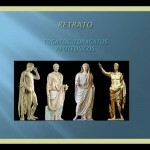 The educated Roman’s respect and consider their Greek predecessors and so favorite their “pure” Hellenistic music forms; fairly more than the less authoritative Latin works, and so, it is the Greek music theories and thoughts that have been passed down in Italy instead of the Roman’s. 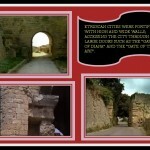 Around the year 510 BC in Rome during the Republic were recited verses accompanied by flute with comedic tone and pantomime was strong on having musical accompaniment, others curded instruments were also Incorporate. In the year 560 BC music seemed to acquire greater appreciation by the general population and was interpreted in feasts and to the musicians was granted privileges to all them from other countries who wished to settle in Rome. 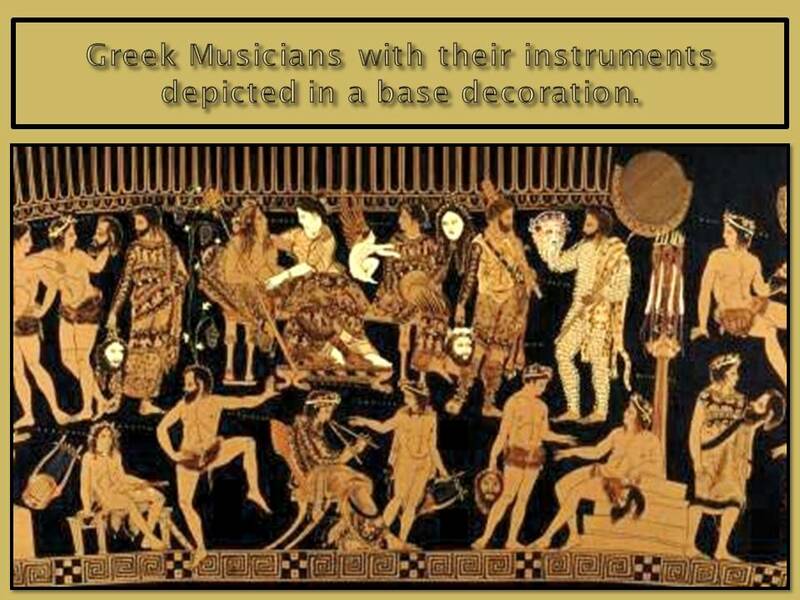 Of course Greek musicians were widely welcomed because the variety of instruments they played as well as the quality of the parts they performed that was not comparable at all with the poor level of music of a Rome immerse in war and long journeys of conquests. 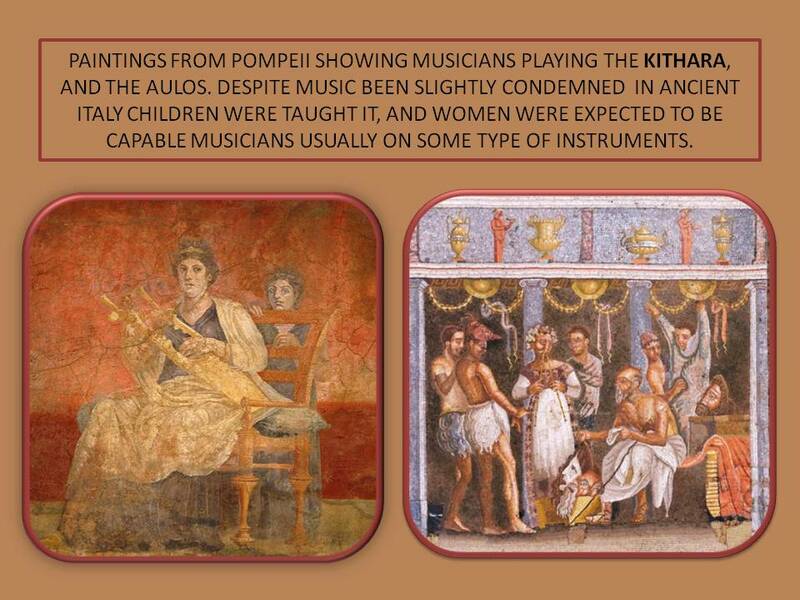 Only the Roman elite could afford to hire the best musicians for their feasts, political or religious events. In this period the influence of Greek music in Rome continues to be quite marked, but they already begin to interpret also parts whose style has elements of music that corresponded to peoples that Rome conquered. The fusion of all those different elements originate music parts with sounds that resonate most with a novel mode of interpretation, which would be the basis of the actual Roman music. – Some Innovations to instruments of Greek origin are implemented in versions of different sizes or changes in the number of attachments, such as strings, buttons air outlet and even materials used in the manufacture of the instrument. 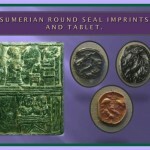 Although those innovations made do not depart to away from the original Greeks instruments. – Versions of instruments originated in the regions conquered by Rome gradually are introduced in the musical public amenities or interpretations of religious nature. With the passage of time in Italy; romantic and comedic mime performers sang and danced also with the sound of pipes, brass and percussion. These regions that influenced the music of Italy the most in this period of the Roman Empire include the Iberian Peninsula and the eastern regions. – Despite music been slightly condemned Children were taught it and women were expected to be capable musicians usually on some type of instruments like the lyre and/or pipes. 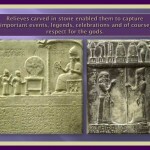 – There is evidence showing that from the century (v B.C.) the melodic lines are now accompanied in the fourth and the fifth interval. Specific melodies were used in this period only for certain occasions. 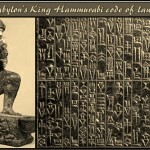 “The new applications of these melodies were known by the term “nomoi”, or also known as “laws”. The “nomoi” are what is now equated with the concept of “modes”. Romans borrowed their musical theory and instruments from the cultures around them and adapted them to their needs for example the Barbitos the bass of the lyre family with its long strings and was thought to have originated on Lesbos. Was considered an instrument of pleasure at parties and festive gatherings for Roman because of the excitation it sound produce. The music in this period is subject to the vagaries, likes, dislikes and follies of the successive emperors. Since Cesar, who liked music and organized shows with many musicians, passing by Augustus who considered that music at the shows were a medium that helped distract the masses, containing them and diverting their attention from economic and political crucial problems. Emperor Tiberius that banished all the musicians for a murder committed in a theatre, as well as others who liked the music as Caligula, Claudius and Nero this last one was so obsessed with music that went as far as proclaim it as the main element of happiness of the Empire, causing his compulsive madness to do that the Romans not appreciate music in the future even after the fall of the Roman Empire. 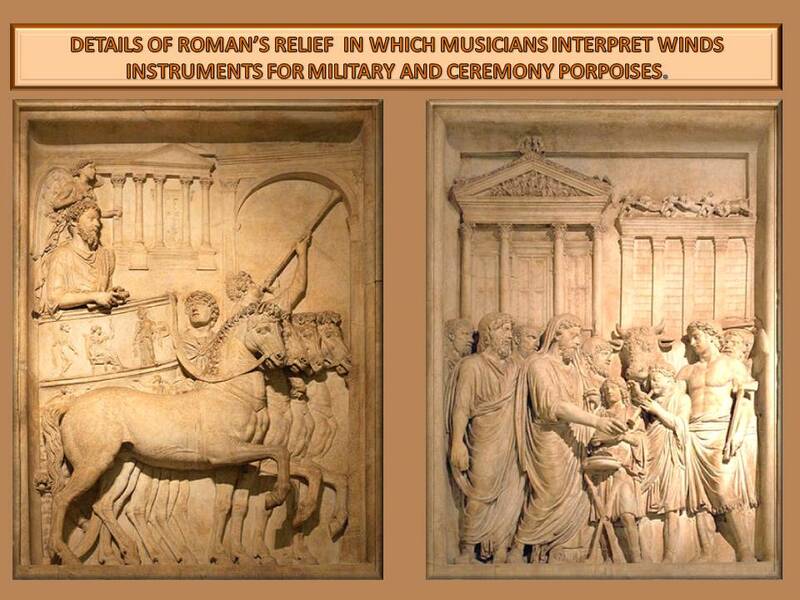 During the Roman Imperial period they took their music to the provinces under their power.Roman-style instruments are found in parts of the Empire where they did not originate initially. 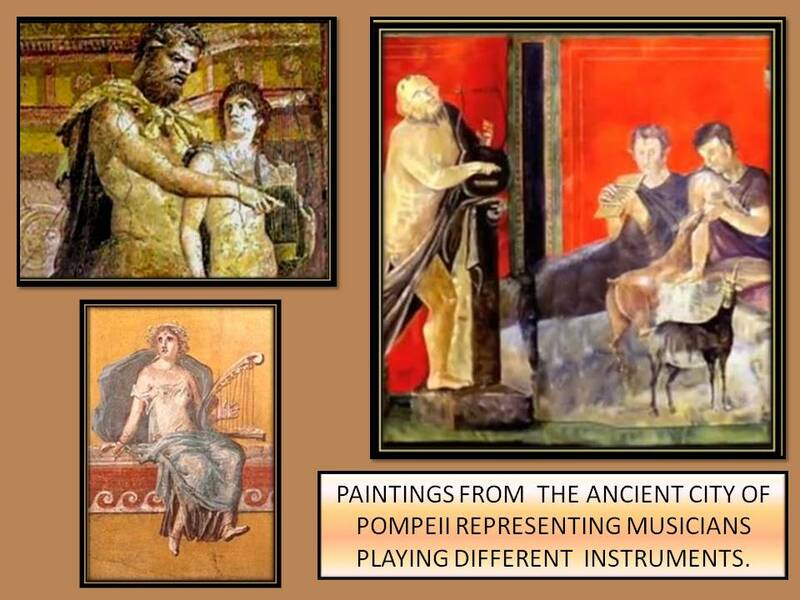 This is a fact indicative of music been among the different thing that Roman culture spread by the provinces.A strong influence between cultures occurs in this period when the traditions of Asia Minor, North Africa and Gaul influenced Roman as well. In the last period of the Roman Empire the influence from the oriental region is significant and that is show in the instruments and interpretation of the songs. The music accompanied the shows and events in the arena and was part of the performing arts form called pantomimes, an early form of the story of the ballet that combines expressive dance, instrumental music and libretto Sung. Music was also accompanying theatrical performances and recitals of poets. 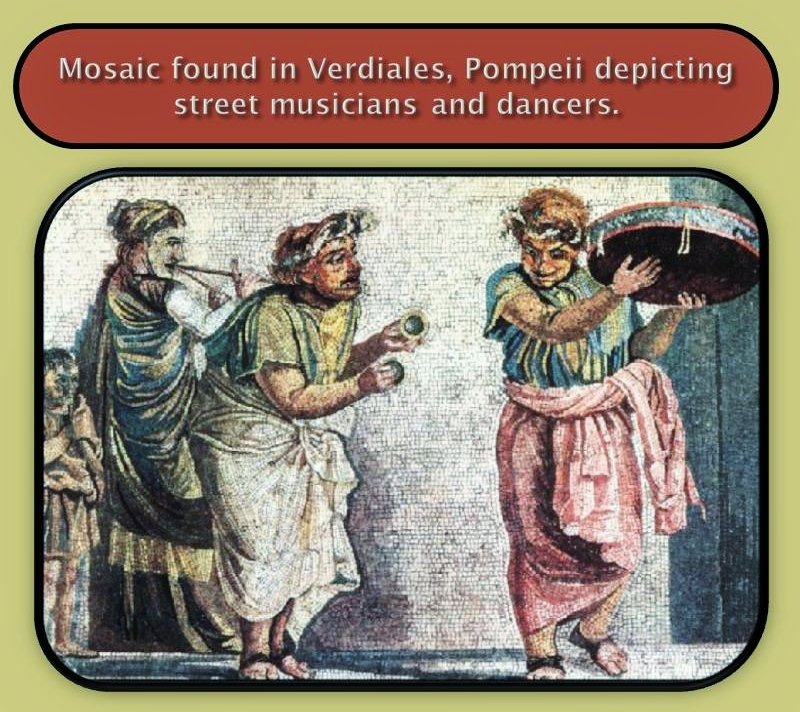 In Verdiales in the ruins of Pompeii had been found mosaics depicting musicians with their instruments performing in the streets and that is an indication that the roman’s like music as well outside the theaters, coliseums or ritual celebrations. Musical notations did not appear in Rome until the 9th century when was used by the clergy to standardize the hymns accompanying officiate rituals Have not been found evidence that there was a standardized form to interpret the music still in that period, rather it was the simple implementation of the so-called “neumes” because they determined when the intensity of the music should raise or when should lower. No chronicles or bibliography had been found that provided so far a significant or unique contribution in theory or practice of music for a long period between the fall of the Roman Empire and the strengthening of the Christianization in the Italian peninsula. 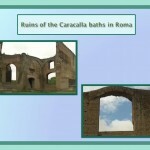 -Jacques HEURGON: the daily life of the Etruscans. Madrid: Temas de today, 1991. -Santiago MONTERO: “Etruscan music”. 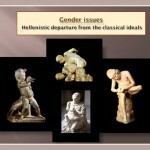 Journal of archaeology, no. 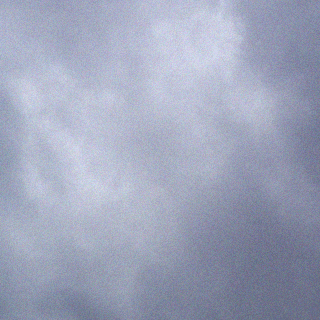 12 (1980), pp. 18-25. -Massimo PALLOTINO: Etruscology. Buenos Aires: Eudeba, 1965. 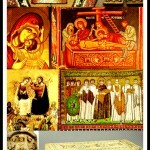 –Angel Roman Ramirez: Music in Tartessos and the pre-Roman Iberia. Raleigh (N.C.): Lulu Enterprise, 2009. -Marcuse, Sibyl. 1975 musical Instruments: A Comprehensive Dictionary, corrected edition. Norton Library. New York: W. W. Norton & Company, Inc. ISBN 0-393-00758-8. -Scott, j. e. 1957. ‘Roman Music’ in The New Oxford History of Music, vol.1: ‘Ancient and Oriental Music,’ Oxford: Oxford University Press. -Ulrich, Homer, and Paul Pisk. 1963. A History of Music and Musical Style. New York: Harcourt Brace Jovanoich. -West, Martin Litchfield. 1992. Ancient Greek Music. Oxford: Clarendon Press; New York: Oxford University Press. ISBN 0-19-814897-6 (cloth) ISBN 0-19-814975-1 (pbk).